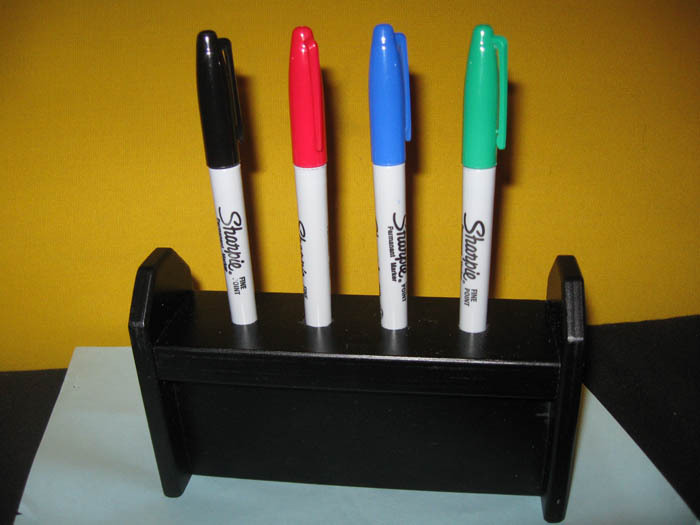 Four different colored Sharpie Marking pens are displayed on a wooden stand. While your back is turned, a spectator chooses one and writes his or her name on a black card. The pen is replaced and the card is hidden. Yet the magician can name the selected color. Three routines are included with this handmade prop. Very easy to perform, Pens are real can be examined. This also fits in well with any of the wonderful drawing duplication effects out there!